Land Rover Repairs, Service, Maintenance in Denver, Colorado. To make sure your experience owning a Land Rover is rewarding, don’t trust your car to just anyone. Our highly trained technicians will make sure that once we deliver your Land Rover back to you, it will provide you with optimum performance, safety, durability and reliability. We are here to service your Land Rover and would like to provide you with the most accurate information. In order to do this properly, it is always recommended that you bring your Land Rover in so our technician can inspect your car accurately. We are the experts in our field, and will save you time, aggravation and money from the start. If you have any questions or concerns regarding your Land Rover, please don’t hesitate to contact us. At AutoImports of Denver, we work exclusively on all Land Rover models, new or old. With today’s technologically advanced vehicles, you need specialists to keep them operating at their best. AutoImports of Denver is a repair facility with the experience, the passion, and the technology to care for all the Land Rover vehicles we service with exquisite skill and attention to detail. Our clients expect nothing less. 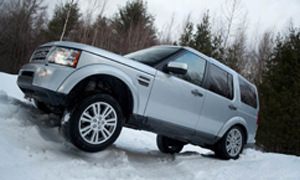 Trust your Land Rover to AutoImports of Denver for your next scheduled service or repair.